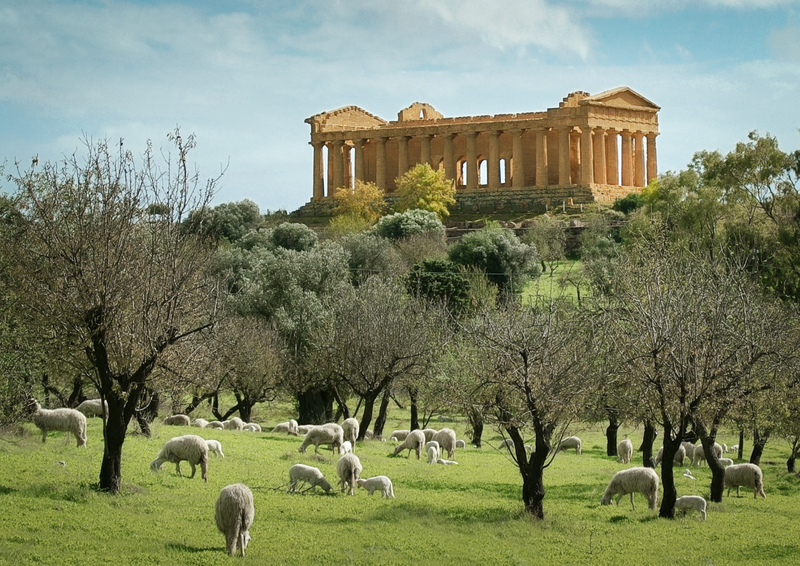 Located in the Valley of the Temples in Agrigento, the temple of Concordia was built about 440-430 B.C. 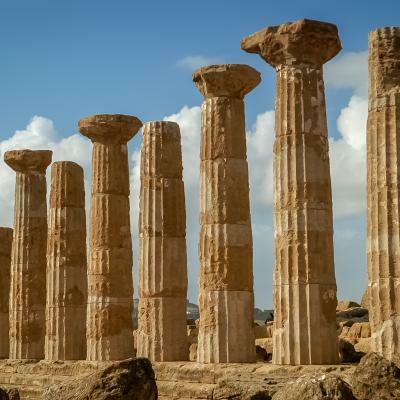 in the Doric style, the oldest and least decorative of the Greek Orders, it is six columns wide and thirteen long. The columns are six metres high. 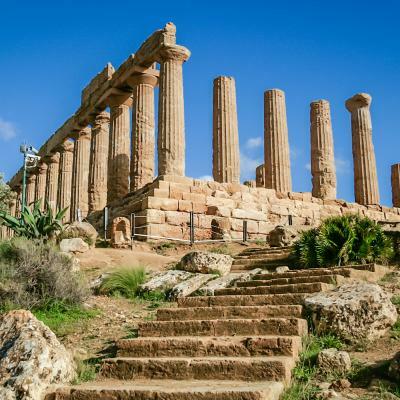 The name comes from Roman times, not the Greek. 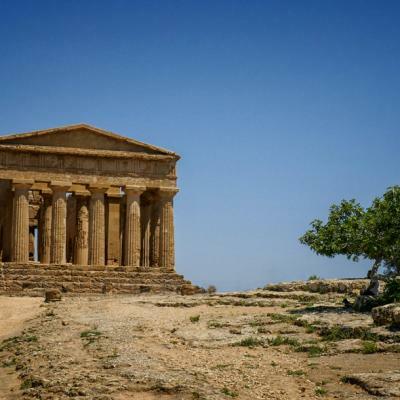 In the 6th Century the temple was converted into a Christian basilica with considerable modifications which changed the purity of the Greek design. The Christian refurbishments were removed during the restoration of 1785.